The London installation of “The Justice League Experience,” a global celebration of the original Super Hero team and the much-anticipated, epic big-screen adventure, Justice League, will open to the public on 9 November and 10 November, at The College, in Southampton Row. Warner Bros. Pictures releases Justice League worldwide beginning 17 November. 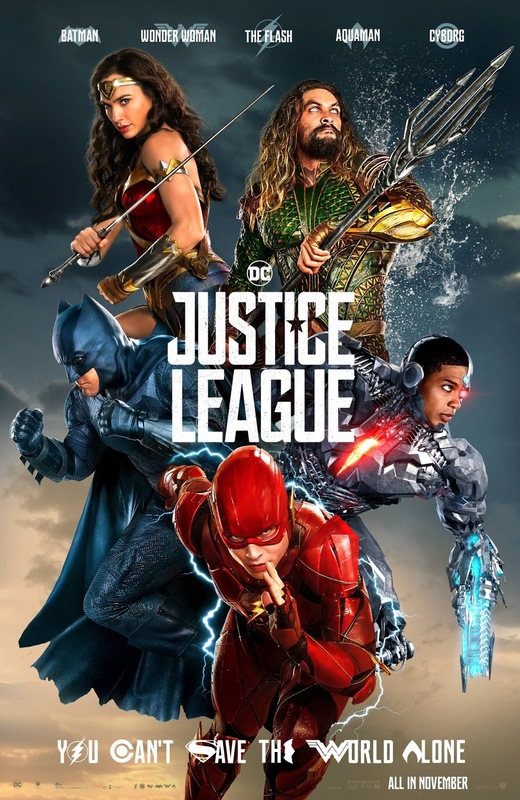 The exhibition features five character-themed environments inspired by the Justice League members Aquaman, Batman, Cyborg, The Flash and Wonder Woman, with sets, props and costumes from the film’s production bringing their worlds to life. Prior to its public opening, “The Justice League Experience” will serve as home to the film’s worldwide press junket. To secure your tickets please go to: www.seeitfirst.com/justiceleague. From Warner Bros. Pictures comes the first-ever big screen epic action adventure Justice League, directed by Zack Snyder and starring as the famed lineup of DC Super Heroes: Ben Affleck as Batman, Henry Cavill as Superman, Gal Gadot as Wonder Woman, Ezra Miller as The Flash, Jason Momoa as Aquaman, and Ray Fisher as Cyborg. The film also stars Amy Adams as Lois Lane, Jeremy Irons as Alfred, Diane Lane as Martha Kent, Connie Nielsen as Hippolyta, and J.K. Simmons as Commissioner Gordon. The Justice League screenplay is by Chris Terrio and Joss Whedon, story by Chris Terrio & Zack Snyder, based on characters from DC, Superman created by Jerry Siegel and Joe Shuster. The film’s producers are Charles Roven, Deborah Snyder, Jon Berg and Geoff Johns, with executive producers Jim Rowe, Ben Affleck, Wesley Coller, Curtis Kanemoto, Daniel S. Kaminsky and Chris Terrio. Warner Bros. Pictures presents an Atlas Entertainment/Cruel and Unusual Production, a Zack Snyder Film, Justice League. The film is set for release in 3D and 2D in select theaters and IMAX beginning November 17, 2017. It will be distributed worldwide by Warner Bros. Pictures, a Warner Bros. Entertainment Company.